This is the book Oprah Winfrey has been excited about, and has been telling viewers to "read it now!" 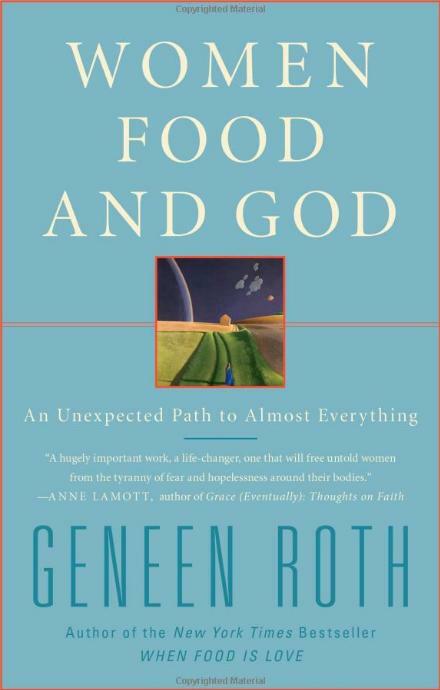 Written by Geneen Roth, Women Food and God is a book about getting in touch with the real reasons why some people eat more or less than they should. "All that you believe about love, change, joy and responsibility is revealed in how, when and what you eat. The world is on your plate." Author Geneen Roth was a guest on the Oprah Show which went to air in Australia on 21 September 2010. Immediately after the show, I logged onto my local library website to reserve a copy, only to find I was already number 22 in line for this book. My turn came on 22 December when I was able to pick up my copy and start reading. After all of the Oprah hype, I was expecting a revelation while reading this book, and I've got to admit I was mildly disappointed. The book contains references to retreats run by Roth and the experiences and breakthroughs people have made during their stay which were interesting. Roth also takes the reader through the various relationships that can cause distress, including most importantly the relationship with yourself and the fears and stories we tell ourselves. The book did contain one particular piece of information that struck me. In summary, Roth wrote that sometimes when a person wants to eat a particular food, they're not seeking the feeling they get when they eat it, but they may be seeking the feeling they experienced in the past when they were permitted or allowed to eat it. This gave me pause for reflection and was a valuable tidbit that was completely new to me and one to which I could relate. Having said all of that, this was a good read, but ultimately didn't live up to my high expectations. 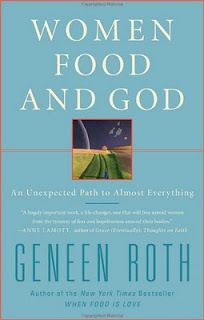 Geneen Roth has published seven other books on this topic, including When You Eat at the Refrigerator, Pull Up a Chair. What a fabulous title! You can visit the author's website here to read more about her other books. I would recommend this book to anyone who is interested in understanding how to improve your relationship with yourself and others and how this relates to food. The book is also suitable for male readers, despite the title.